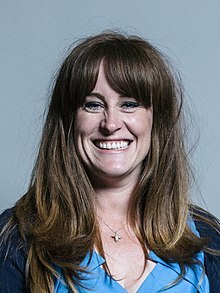 Technology projects and pilots across the country are among those to benefit from a new fund to boost the productivity of UK small businesses, Small Business Minister Kelly Tolhurst announced today. A total of 15 projects have won a share of £2m from the first round of funding from its new ‘Business Basics Fund’, a funding competition launched for businesses, academia and local authorities for new projects focused on testing ways of rolling out existing productivity-boosting technology and management practices to businesses. Already confirmed under the Fund, which is being delivered in partnership with Innovate UK and Nesta, are collaborations like these between businesses and groups including the Chartered Institute of Professional Development (CIPD), Enterprise Nation, Universities, Cavendish Enterprise, government-backed Growth Hubs and local authorities. Examples of what’s won funding include schemes for testing an innovative management development programme for micro-enterprises, a framework for encouraging more SMEs to adopt digital technologies such as cloud computing, and an online tool for SMEs in the dairy sector to find proven technologies that can accelerate their production and boost productivity. Other initiatives include a scheme being set up by the Greater London Authority, CognitionX, Capital Enterprise and the London School of Economics to try and boost adoption of AI (Artificial Intelligence) technologies like chatbots for the retail and hospitality sector, with a vision of exploring how such technology can help bridge the gap between online and offline experiences. For Tolhurst, “Small businesses are the backbone of our economy, and as part of our modern Industrial Strategy, we are supporting them with new investments to boost their productivity and ensure they can continue to thrive in the future. Geoff Mulgan, Chief Executive of Nesta, commented that, “The Business Basics Fund signals a welcome commitment by government to applying experimental methods to boosting economic productivity.